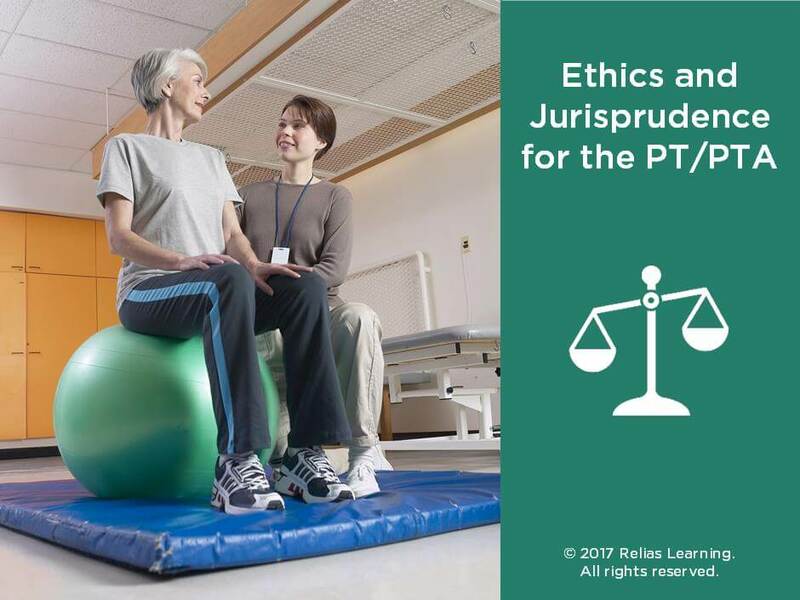 Physical therapy professionals are constantly confronted with a variety of ethical and moral dilemmas. Their decisions, and even their failures to make decisions, can have long-range effects professionally and personally for providers, patients, healthcare entities, and for society as a whole. Directed to Physical Therapists (PT) and Physical Therapist Assistants (PTA), this 2-credit entry-level course will address ethical and moral dilemmas, the decision processes, and posit multiple ethical case studies. This course aims to assist the PT professional in understanding their ethical responsibilities for ethics and jurisprudence training. Describe 2 methods PT professionals employ to help resolve ethical situations. Define at least 2 main ethical theories and principles of healthcare ethics, as described in the course. to 2 case studies to resolve mock ethical dilemmas. Section 1: Introduction A. About This Course B. Learning Objectives Section 2: New Frontiers A. Growing Pains B. Professional Challenges C. Reimbursement Challenges D. Legal Challenges E. Review F. Summary Section 3: Morals, Ethics & Law A. Ethics vs. Morals B. Ethics vs. Law C. When it All Comes Together D. Review E. Summary Section 4: Ethical Theories and Principles A. Healthcare Principles B. Main Ethical Theories C. Methods to Resolve Ethical Situations D. Integrating Theory into Practice E. Meet Tara F. Active Engagement Model G. Ethical Lens Grid H. Review I. Summary Section 5: Code of Ethics A. Codifying Ethics B. Mock Case Scenarios C. Review D. Summary Section 6: Conclusion A. Summary B. Course Contributor C. Resources D. References E. Congratulations! The target audience for this course is: entry, intermediate, and advanced level Physical Therapists; in the following settings: All Healthcare Settings.